After the official part of the weddingthe couple with the guests go to celebrate the creation of a new family in a restaurant. It is hard to imagine a wedding banquet without alcoholic beverages. Wine, champagne and other spirits are always present at the wedding table. 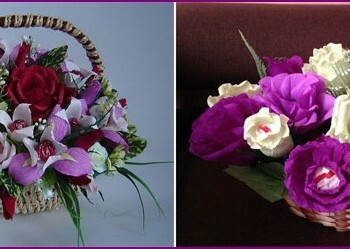 They help guests to cheer their hearts at the celebration and feel the holiday atmosphere. 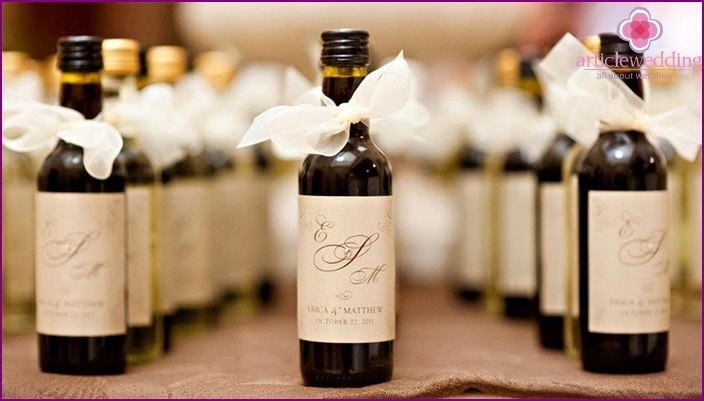 What factors should be considered when choosing a wine beverages for your wedding party? High-quality alcoholic beverage improvethe mood of the guests, and low-grade all can spoil the celebration. 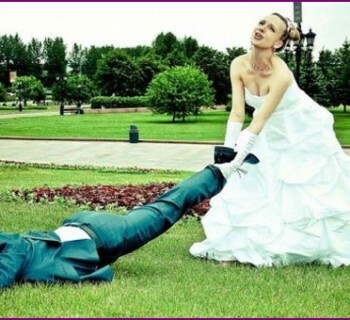 So do not buy a wedding banquet too cheap wine beverages. It is better to choose for a celebration drink in mid-range (200-350 rubles per bottle). There are many variants of good wines of domestic and foreign manufacturers, suitable for a wedding feast. For example, Chateau Tamagne, Maison de Reve, El Paso, «Chavron», Poggio Ai Santi, Montepulciano d'Abruzzo, Sunrise, Pupilla Luis Felipe Edwards. 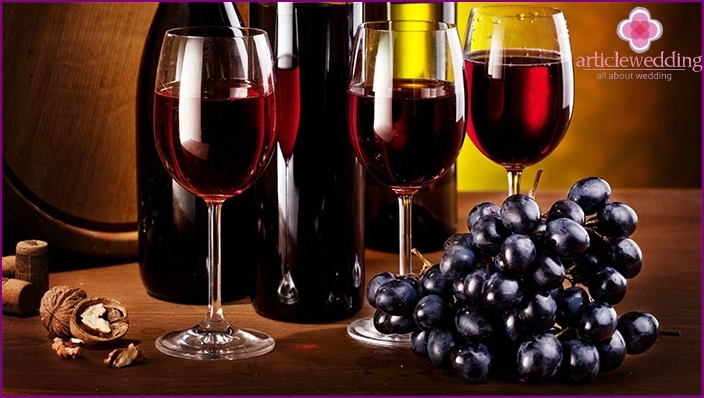 Specific types of wines are in harmony andset off the flavors of certain foods and products. If the beverage is supplied to the incongruous with them food, then it will adversely affect the taste of the latter. This fact must be taken into account when choosing spirits for a wedding banquet. 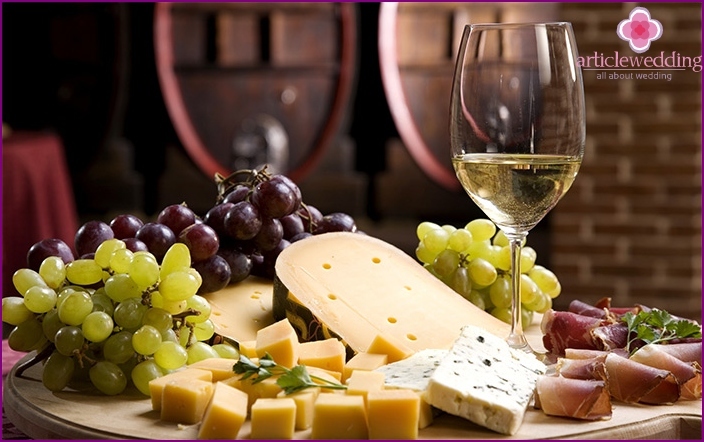 There is a wine etiquette which will help you find the right combination of food and wine for the festive table. "Sparkling" must necessarilypresent at the wedding party. Always festive meal begins with a shot of champagne. Sparkling poured into a tall, narrow glasses, shaped flute and long leg. 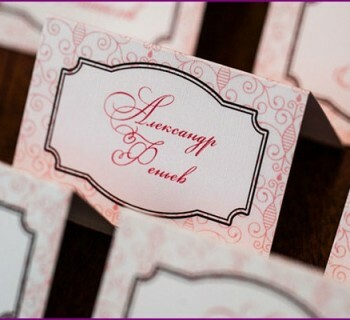 Champagne at the wedding feast would be perfectly combined with products that do not have a bright flavor. Fortified white drinks beautifully with exotic citrus fruits. And in the "young" wine suitable oily fish baked in foil or grilled (sardines, mackerel). "Herbaceous" vigorous wine will go perfectly with the dishes with tomato sauce. "Cream" wine is perfect with seafood, roasted, baked salmon or tuna. White "aromatic" wine in perfect harmony with the Chinese, Thai food, fatty pates, smoked poultry or fish. "Pink" wine can be served with any dish. Full-bodied wine with fruity, spicy notes supplied to the dense food with garlic sauce or seasoning. Full-bodied with rich fruit notes inaroma and taste of wine is served with grilled or roasted on the grill, meat skewers, barbecue, tobacco, chicken, cold cuts of meat, Mexican and Indian cuisine, pies, pasta, grilled fish. The wine and red meat grilled, fried chicken, turkey - an excellent combination for wedding table. Heavy dense spicy wine consumed warming stew with a spicy sauce, hot with a bird, stewed game, spaghetti. Neterpkoe slight sour-sweet wine goes well with Italian dishes, meats, grilled meat, dishes with garlic sauce. Full-bodied sweet-sweet wine and game under the hot sauce, stew, red meat, roasted poultry - make wedding table harmonious. What wine bring to the table, depending on the time of year? The wine list for the wedding party depends onthe time of year. Winter sometimes to be a festive feast appropriate "warm" drinks, so for celebration and fortified red table fit in the cold season. They have a warming effect and combine well with fatty, hearty. And saving the best for this wedding will be refreshing and perfect thirst-quenching drinks. These are white dry. How to calculate the amount of wine for the wedding? What you need to wine at a wedding celebration? It all depends on the preferences of guests. If you are familiar with their tastes, you can roughly estimate the required amount of drink. Most women love wine. At the wedding to buy this drink at the rate of one bottle per person. 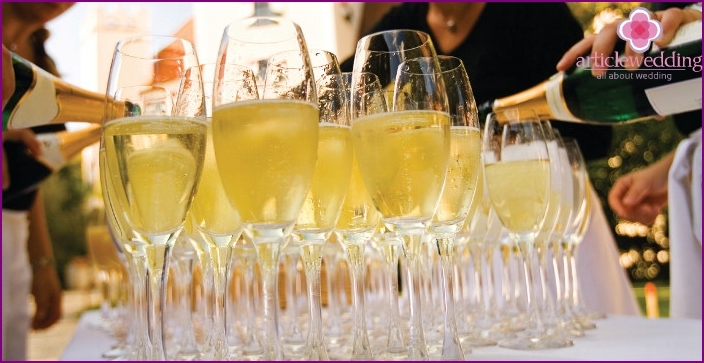 It is better to buy for the banquet of wine of different varieties: red, white, champagne. It is advisable to buy drinks in reserve. On the wedding table is necessary that it was dry, semi-sweet, semi-dry wine.